What is Leap of Faith? 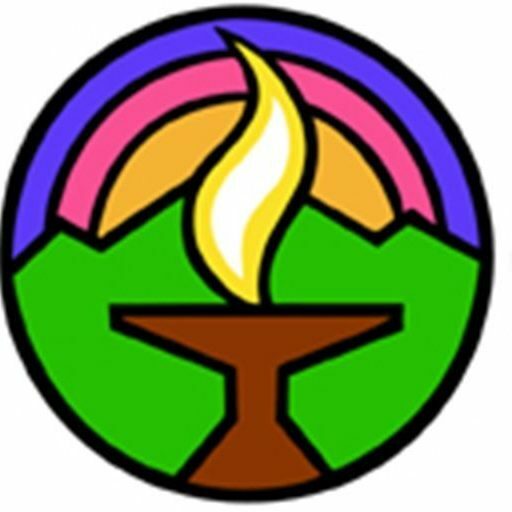 Leap of Faith is a congregational mentoring program introduced by the UUA at General Assembly in 2011 and expanded to the Pacific Western Region for 2013-14. Mission Peak has the honor of being one of 7 congregations in the Pacific Western Region of the US invited to participate. Jeremy learned we were chosen, and the Board voted to support this at its January meeting, appropriating $2500 from the Special Fund to support participation costs (principally travel expenses for the Leap of Faith team to attend the August training in Sacramento). A Jan. 27 informational meeting was held and a Feb. 17 Congregational Meeting approved our participation and the budget change. By April the Leap of Faith travel team was in place: Jeremy Nickel, Barbara Meyers, Melissa Holmes, Doug Rodgers, and Marylin Wakefield. Drew Wilson and Pat Rodgers expressed interest and support and agreed to travel with them, paying their own expenses. Board President Kathy Wallcave also agreed to attend meetings. August 21-23, the Leap of Faith team met with the other participating churches Sacramento to receive training and to meet representatives from our mentoring congregation. 1. Be more visible and engaged with the larger community. 2. Create a governance structure that is accountable to the Board. 3. Learn how to conduct mindful meetings. 4. Develop an effective path to membership; practice radical hospitality. 5. Develop a strategic plan for future years. 6. Reorganize our worship space. Leap of Faith ribbons are distributed to participants who attend Leap of Faith activities. Becket Gladney designed our eye-catching logo, a red high-top sneaker, to identify our publicity in Week on the Peak emails, newsletter, and the banner on display in Cole Hall. On October 27, the congregation informally agreed to team with LEAF for our pilot project. On October 17, a space expert worked with our aesthetics people to help us reorganize our worship space. Also in October, the need for a Volunteer Coordinator to guide the project became apparent and a budget was developed. Rev. Howell visited from Boulder, met with the Board, the Program Council, and other Mission Peak groups, and gave the Sunday sermon. The Leap of Faith banner was first displayed, and a duplicate given to Howell for the Boulder congregation. The Congregation approved the hiring of an Outreach Coordinator and a budget of $50K ($25K salary, $20K project expenses, and $5K Leap of Faith expenses) paid for from the Special Fund. In early December, LEAF members helped the Leap of Faith team hammer out a job description for the Outreach Coordinator. The Leap of Faith Team (Melissa Holmes, Barbara Meyers, Jeremy Nickel, Doug & Pat Rodgers, and Drew Wilson) traveled to Boulder CO to observe how they do “church”. Since returning to CA, they have met to identify technical (easy to make, involving known solutions) and adaptive (harder to make, involving cultural shifts) changes that Mission Peak may want to consider adopting. It’s too early at this time to list which changes will be pursued first and which will take more time. Nonetheless, we are continuing our support for the 2014 garden project. Your first chance to work in the new Stone Garden was Sunday, Feb 23. We worked from 12 to 2 pm at the site to clear the area and take down some of the weeds that are beginning to grow from the recent rain. Leaf has taken over coordinating the Stone Garden Project. More information can be found here.